I forget it every winter. I forget how the cold and dark and cloudy makes the world seem cruel and pointless. Sunshine is such a little thing and such an everything. Last week my students read the story of Demeter and Persephone, that beautiful explanation of the seasons when the world goes dark and death stalks the land as a mother grieves for her daughter lost to the Underworld. It makes sense to me. Winter too often brings death. Of flowers. Grass. Leaves from the trees. Loved ones. Celebrity ones. Strangers and other people’s loved ones. When the sun is not shining and the cold and dark prevail, it is so easy to forget that life goes on, that death is part of life. And I cried typing that life goes on. Every day still seems like a little betrayal. Every day gets me further away from the last day. yesterday I emptied into a bowl on my coffee table the last of my dad’s favorite mints that I had bought him for Christmas. It was a warehouse-sized bag and soon it will be gone. I’ll buy a new bag, but it will those mints my dad used to like rather than those mints I was going to give him because he was around just a few days ago, so few days ago that I still have consumable gifts that I meant to give him. Sunshine switches the focus, however. Sunshine pushes me to look not at the last time, but at the best time and to look forward to more best times with the people he loved, that we love. Grief goes on. Life goes on. The sun returns and I remember. 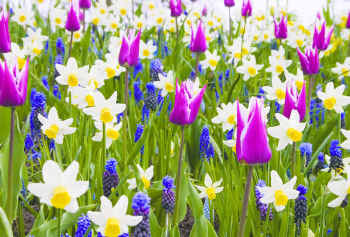 Every spring in those parts of the world that enjoy four seasons, flowers poke their heads through the previously frozen ground and send up triumphant flags in bright colors. In our part of Michigan, everyone gets a little skip in their step when the spring bulbs start to bloom in their glorious pastels. We revel in their fresh-faced, youthful little flowers and their smooth, green-stemmed bodies. They’re the banner of hope and the promise of all the good things to come over the long summer months ahead. 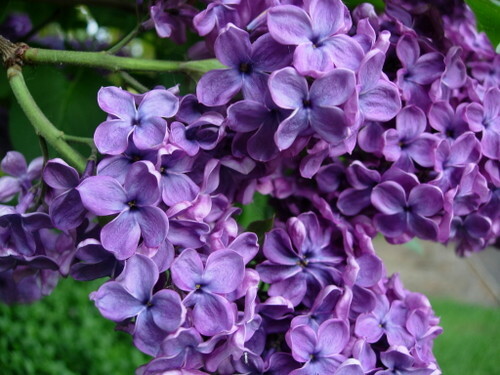 And then there are the lilacs, those heady-scented bushes whose blossoms bend the branches and which bring a flood of memories of grandmothers and old farmhouses. Their community approach to flowering takes us back to older times when life was simple and a warm chocolate chip cookie and a glass of milk, consumed at a table adorned with lilacs in a Mason jar could make everything better. Seriously, have you ever heard someone grumble about spring flowers? Even the spring allergy sufferers cannot bring themselves to complain about the flowers because they’ve been liberated from the prisons that their homes have become during winter. But it dawned on me this week that the flowers that bloom in fall receive none of these accolades when, in fact, they may deserve more. What kind of courage does it take to bloom when the air is turning warmer and the ground is softening? When you can count of a nourishing rain every other day or so and you’ve been carefully cultivated by a loving gardener? In a spirit of full disclosure, as a fall allergy sufferer, the advent of these flowers used to send me running for cover. Maybe it’s only the weekly allergy shots and the battery of prescription nasal sprays that have allowed me to gain this new insight into these flowers. 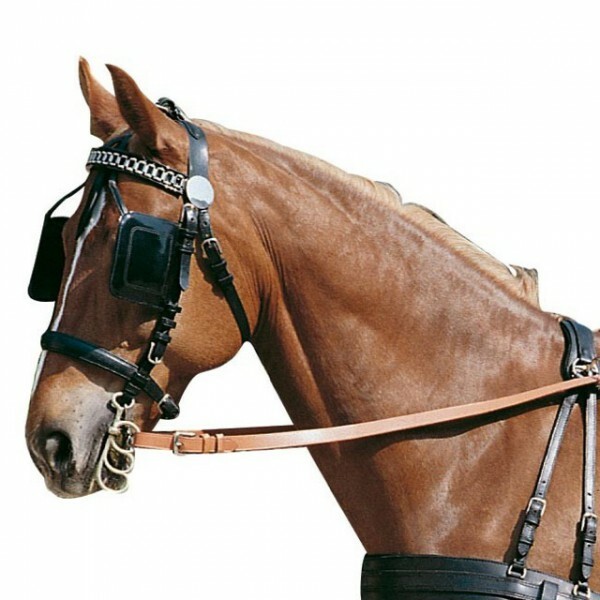 But having blinders does not excuse ignoring what is around us. We can always turn our heads. 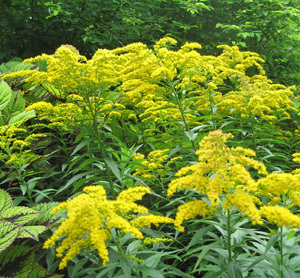 Fall flowers tend to be those plants we classify as weeds. They are unloved and often under brutal attack from farmers, gardeners, and grounds keepers. They’re plucked from their soil and subjected to chemical warfare. And yet they bloom. Fall flowers bloom even though they know that the life they have left is short. They can feel the ground growing colder, perceive the hours of sunlight growing more scarce, and the air taking on the crisp quality that bespeaks the snow to come. The rain they receives does not bring the smell of life, but, rather, the smell of death as leaves begin to fall and rot in piles on the ground. And yet they bloom. Their faces often carry a rougher edge and their stems may be spotted and their leaves brown around the edges from early frosts. And yet they bloom. They stand and offer us a symbol of hope, a reminder that life continues even as their companions around them wither and die. They do not give up; they do not retreat into themselves. Instead, they give us the gift of beauty, the kind of beauty born of tremendous courage. The courage to bloom as the days begin to fade and the cold creeps in. All gravity aside, can you pass the tissues? I must have forgotten my nasal sprays last night.